Paperback, 9.75 x 7.9 in. / 212 pgs / 814 color. What's hot in Italian fashion now, and what soon will be hot. New stars are rising in the Italian fashion world–a varied group comprised of a young generation of designers who studied at fashion schools in Italy and abroad, who love contemporary art and architecture and are not afraid of facing new challenges. 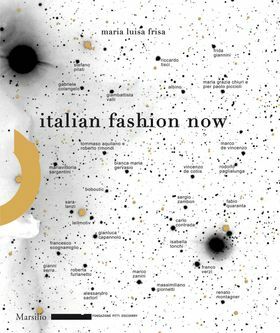 They all understand that it is necessary to go beyond the label of "Made in Italy" in order to find a new global identity for Italian fashion. The designers have been chosen by Maria Luisa Frisa for their critical philosophy of breaking with tradition and their ability to define new scenarios that emphasize "dressing" as part of a composite process. FORMAT: Pbk, 9.75 x 7.9 in. / 212 pgs / 814 color.